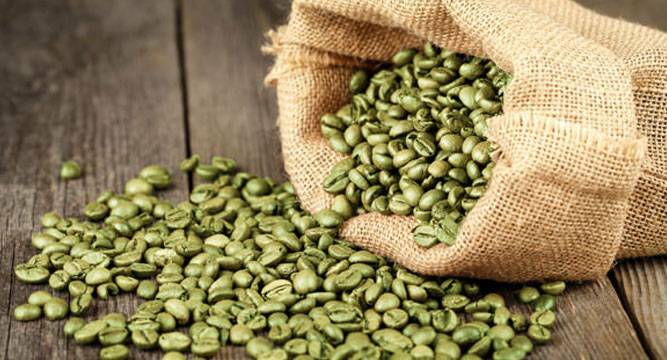 Scientists have developed a new method of roasting green coffee beans that could enhance the health benefits of the brew. Dan Perlman from Brandeis University in US is developing the flour milled from parbaked coffee beans both as a food ingredient and a nutritional supplement. It is a world of difference from the traditional coffee bean, Perlman said. Research has shown that drinking coffee is good for health. A recent Harvard study found that people who drank three to five cups a day had a 15 per cent lower chance of prematurely dying than non-drinkers. Nobody knows for certain what causes coffee to be salutary, but one leading explanation involves a natural chemical compound called chlorogenic acid (CGA). An antioxidant, CGA is thought to be beneficial in modulating sugar metabolism, controlling blood pressure and possibly treating heart disease and cancer. However, when coffee is roasted the traditional way - typically above 204.4 degrees Celsius for 10 to 15 minutes - the CGA content drops dramatically. One study found the decrease ranged from 50 to nearly 100 per cent. Perlman wondered what would happen if the coffee bean was baked for less time and at a lower temperature. This took some trial and error until he got it right. In the end, he determined that parbaking the beans at 148 degrees Celsius at approximately ten minutes worked best. The concentration of CGA in the bean, around 10 per cent of the bean's weight, barely dropped, researchers said. The parbaked coffee bean can not be used to make coffee. It is not roasted long enough to develop flavour. Instead Perlman cryogenically mills the bean in an ultra-cold and chemically inert liquid nitrogen atmosphere to protect the bean's beneficial constituents from oxidation. At the end of the process, you get a wheat-coloured flour. Its taste is nutty, pleasant and mild, researchers said. Perlman sees his coffee flour being blended with regular flours for baking, used in breakfast cereals and snack bars and added to soups, juices and nutritional drinks. To compensate for the CGA lost during traditional coffee roasting, it would be possible to blend parbaked beans with regularly roasted ones. There are green coffee bean extract-based nutritional supplements already on the market. They have been touted as a way to lose weight and fight obesity, but there is scant research to support these claims. The scientific evidence that illustrates CGA's benefits for other conditions is much stronger. Perlman also says parbaking is far less expensive than the extraction methods used to produce the green coffee bean extract supplements currently on the market.